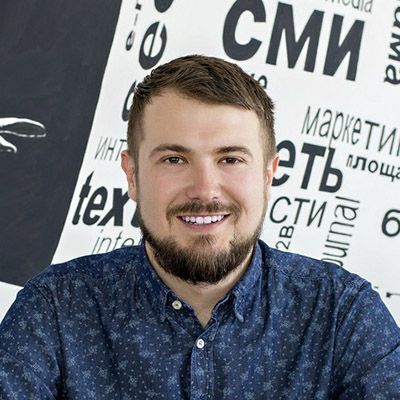 Alex Nigmatulin is the Chief Marketing Officer of PRNEWS.io, an international sponsored content marketplace. Before the creation of this website, the PRNEWS.io team were focused on content distribution for Russian-speaking countries. But, later, they realized that the customers wanted to know better about the places where their content will be published so they decided to gather all the information into one marketplace. We talk with Alex about how the PRNEWS.io team works and the characteristics of this sponsored content marketplace. Alex explains to us the advantages of linkbuilding, which are the services clients most asked for or how to make sure that the link we include on an sponsored content is not deleted. We also asked him, among other things, about his opinion on the brand value of linkbuilding and how to set the publication prices. How do you get interested in marketing and later in sponsored content? Before PRNEWS.io our team developed press release the distribution platform B2Blogger.com, focused on Russian-speaking markets. Few years later we understood that our customers were not interested in distribution services without a clear understanding of where their texts will be published. So, we asked media outlets how much they charge for guaranteed posts on their websites and gathered that information into one marketplace. Later we discovered that such posts are called sponsored content. How does PRNEWS.io works? What problems does Prnews.io solve? PRNEWS.io is a marketplace where PR specialists, internet marketers and advertisers meet publishers to buy sponsored content on their media outlets. For customers it works like an online store: you choose publication on the basis of characteristics (audience, geo, demography, SEO), pay the exact price and add the text. Then, our team picks up the text and publish it on the chosen website in the shortest term. PR specialists use our service to form favorable cover in media and for reputation management. Marketers try to get the attention of customers and introduce new products. SEO specialists use it to correct search results. Someone just wants to fill the Featured on section of their website. Which are the services your clients most ask for? Our platform was designed with a self-service in mind. Customers can use it without our help. But sometimes we do copywriting or translation. We can also help in choosing the most suitable publications for customer’s campaign. These services are provided for additional fee. “You cannot become a strong brand which is popular among journalists without monotonous and routine everyday work. And paid content is an integral part of that process”. How do you get in contact with the newspapers and publications that work with you? Do they make the first step or is PRNEWS.io the one that presents publications its business model? At first, we contacted publications ourselves (we still do this in countries we are not presented at), but now editors and media come to us because they’ve heard about PRNEWS.io from their colleagues or customers. They like working with us because we make the precheck of customers and their news and also pay in time. We also deal with international orders, publications in some countries prefer to work only with national customers. Some customers want websites of specific countries and industries, in that case our team goes into fields to fulfill this demand. How do you set the price for article? Is there a value ratio or something similar? Usually our prices are the same to the publication price lists, we get the agency commission, but sometimes logistics of payment forces us to add a payment fee. What tools do you use to analyze the traffic and other key characteristics of the domains you work with? We aggregate website traffic data from SimilarWeb, audience demographics from Alexa and SEO metrics from Majestic, Semrush, MOZ and Google. In some countries we gather metrics which are popular among local customers (like CheckTrust and Yandex in Russia). We also made a huge work collecting terms and conditions of sponsored posts on different websites (text volume limits, how many links they accept, will text be published on home page, can you use pictures). How do you make sure that the link is not deleted? Usually sponsored posts stay on the websites forever. But websites change, they can be sold, and sometimes new owners are not eager to fulfill old resolutions. By defaults we guarantee that the text will stay on the website for three months. We will return money if it is deleted or if basic terms of it are changed. Customer can pay additional fee to extend the guarantee to one year. What kind of business ask for your services? How is your typical client? We have both end customers and agencies among our clients. Usually it is a company which fills good on a domestic market and plans its expansion to new countries. They tested sponsored content at home and it worked well. But they don’t know which websites are popular in other countries and they don’t want to enter into international contracts. Then we can help them: aggregated information helps to choose the right website and we accept any kind of payment. Some people may say that sponsored content do not have good brand value because “you are paying someone to talk about you”, what is your opinion on this matter? You cannot become a strong brand which is popular among journalists without monotonous and routine everyday work. And paid content is an integral part of that process, you should check the early period of companies from Fortune 500. It is important for business to test hypotheses with lightning speed, even if it costs extra money. In highly competitive industries, the value lies in “here and now” result, even if it is unsatisfactory. Sponsored content is also a way to get published on your own terms: you can highlight the important theses and control the tone of text.